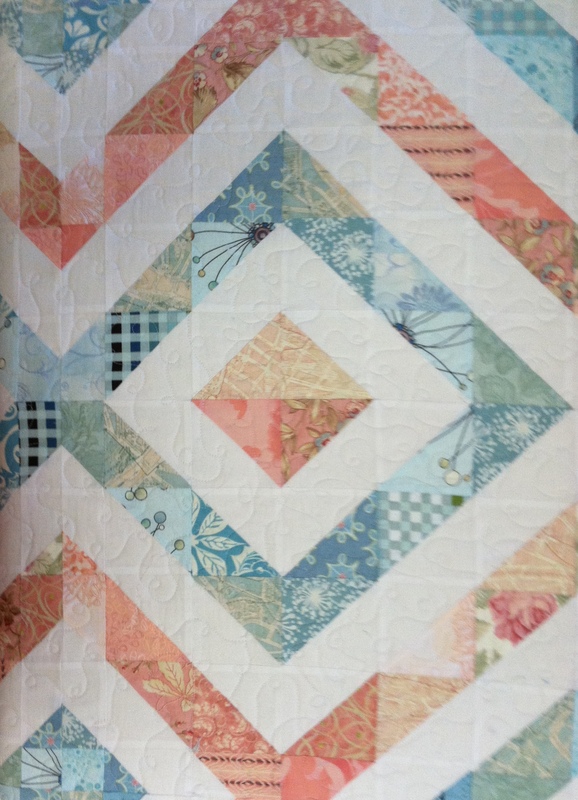 This entry was posted in Quilting/Sewing and tagged finish, half square triangle, HST, long arm, pinning, queen, quilt, quilting by monkeyneedle. Bookmark the permalink. This is such a beautiful quilt. I love the design the two colors make together. You did a great job quilting it. Thanks so much Jasmine. Although 1200+ HSTs wasn’t fun, I do love how it turned out. Really like your quilt-so fresh and neat looking. 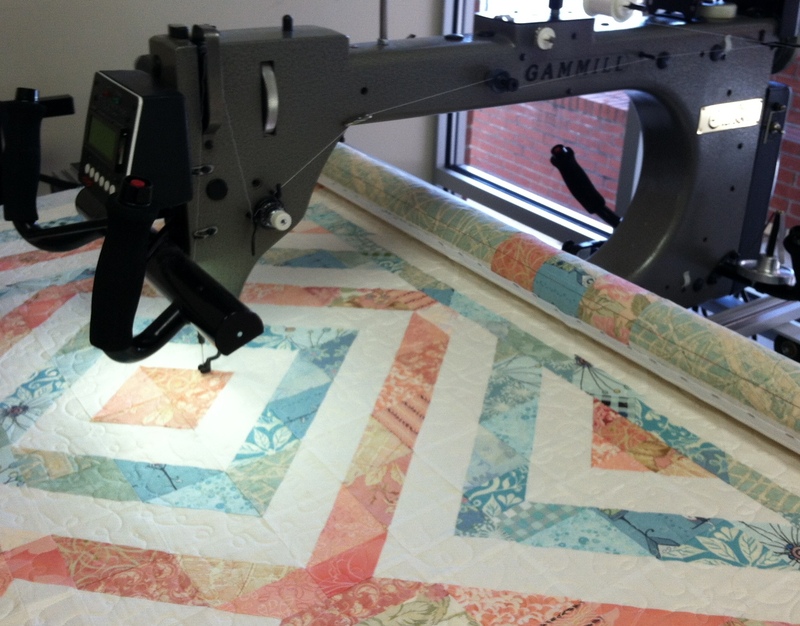 Now you’ll have to put a longarm on your ‘gotta buy’ list, LOL They are addicting!! Thanks so much! 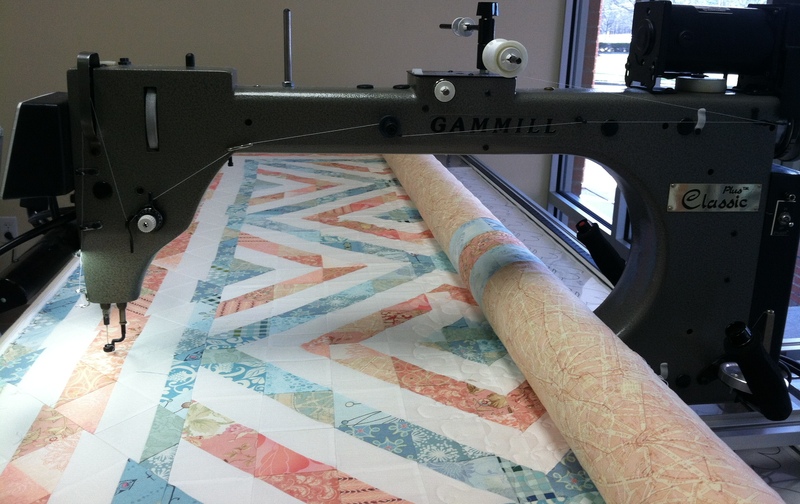 I would love to have a longarm. Maybe one day… I must say I tried to FMQ on my home machine again today and hated it! I think I’m spoiled! Beautiful quilt. So glad you were able to long arm it yourself. It really is a shift in thinking when quilting isn’t the hard part of the process anymore. Thank you! I really enjoyed the long-arm. I do believe it made the process so much easier. Your mom’s smile made it all worthwhile I bet!! Beautiful job daughter! It did and she loved it! Thanks for visiting. That is a beautiful quilt! 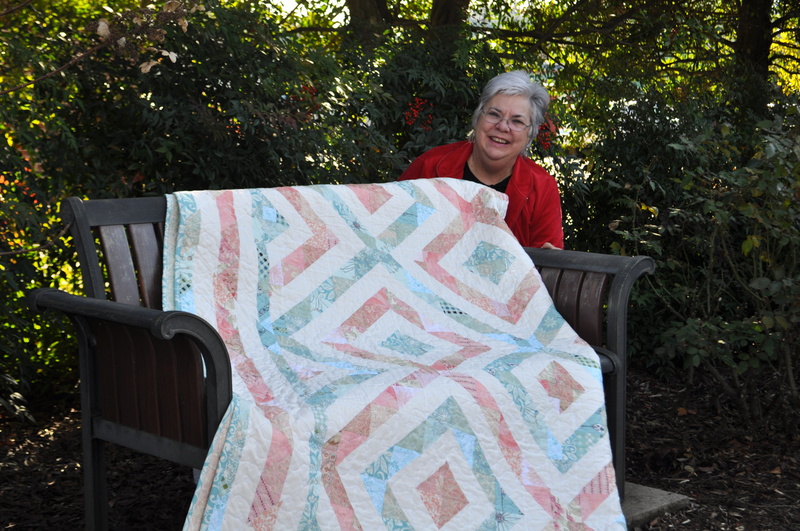 Great job on the quilting! Thank you so much! I had a ton of fun quilting it and the long arm made it easy. Your finished quilt is truly a beauty. Thanks for sharing all about your long arm experience. What fun! 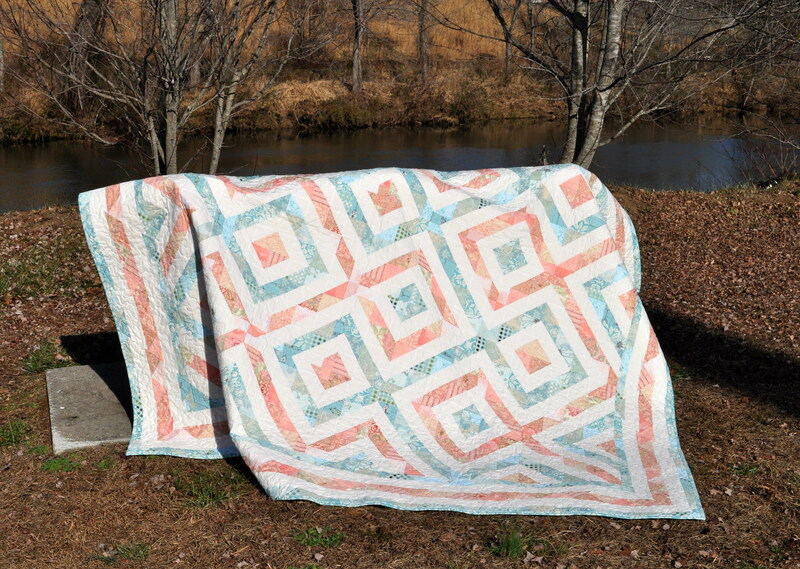 Much more so than a queen size quilt made entirely of hsts, I’m sure! Thanks! I do have to agree that the long arm experience was a ton more fun than 1200+ HST units!